Desi Smith/Staff Photo. 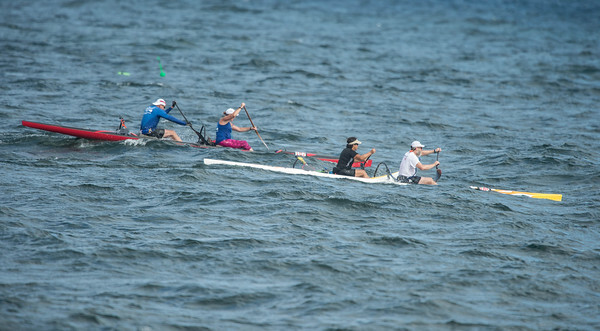 Mixed O.C-2 challengers Dan Havens and Kathleen Mcnamee (back) and Teresa Haught and Will Rhodes of the Washington Canoe Club of Washington D.C, battle rough sea’s and 40 mile per hour wind coming past Lanes Cove while competing in the Blackburn Challenge held Saturday morning. July 25,2015.